Tube rectified by 6CA4/EZ81 Separated tube rectifier stage for better noise separation and, like the vintage amps and the purest preferred, being rectified by tube, higher to cost, but no hold barrette for us! Story: The F-108 family of Finale amplifiers features single-ended EL84 / 6BQ5 circuitry that we have used and enjoyed for decades. 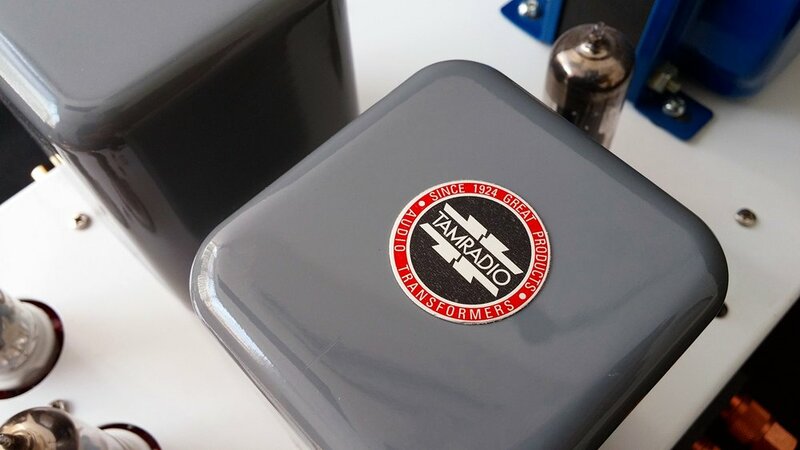 Ever wonder why so many people who care about sound quality prefer this amplifier’s (circuit’s) low-wattage refinement over solid state amps, or even single-ended triode-circuits? The key is the unique voicing and refinement of the El84/6BQ5 tube itself that compares well to most other tubes in the sweetness, transparency and holographic department — and you’ll be surprised with its bass, attack and speed! Our Class A, single-ended circuit gets the best out of these tubes. 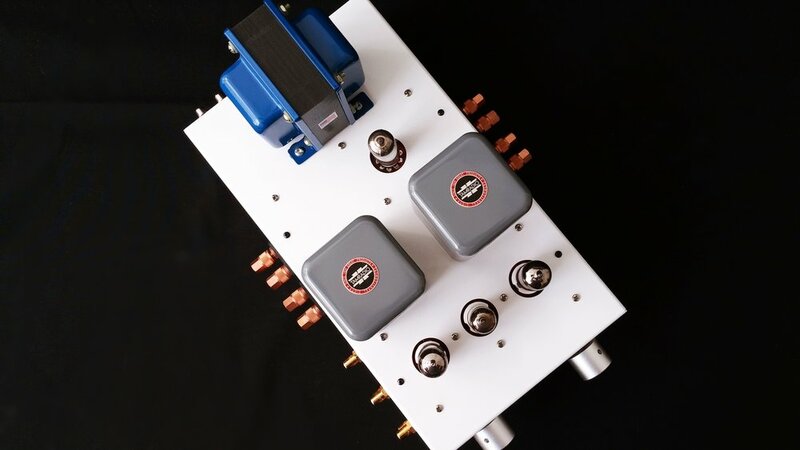 We have opted to give the F-108 subtle looks and simple features, and focus our resources on providing high quality parts and transformers. 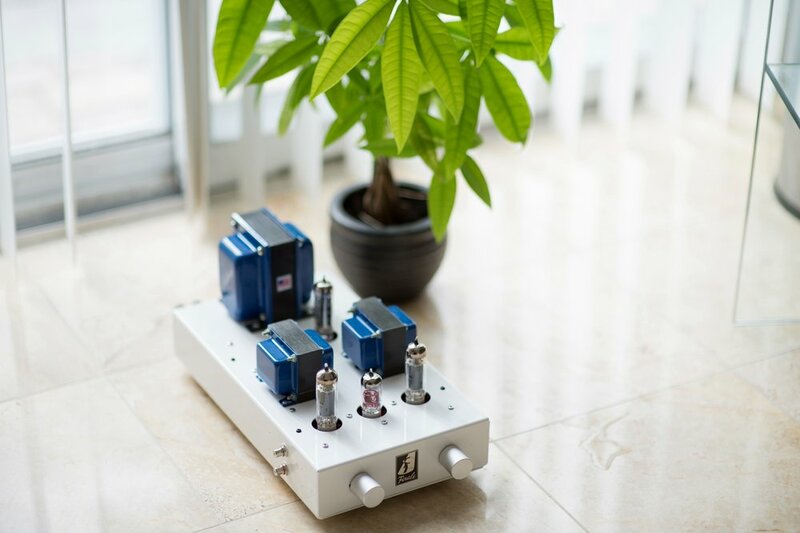 Although this is our entry single-ended amplifier, it is as quiet, sharp and stunning as any other we have designed and made. Its amazing giant-beating sound makes it a true bargain. Don't be fooled by its kitten size, it can roar like a lion and sing like a bird! "Just wanted to let you know that the amp arrived in perfect condition and is working beautifully. 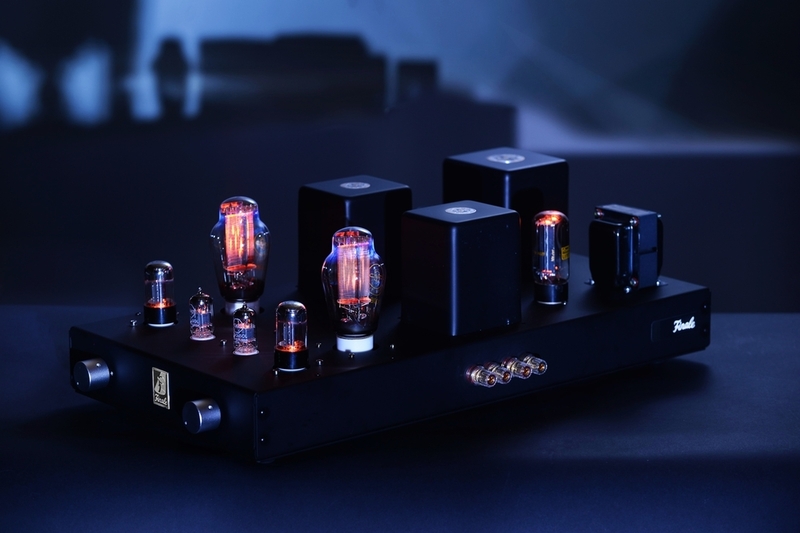 I have to admit, the amp is already exceeding my lofty expectations and is one of the finest amps (tube or otherwise) that I have ever had in my system. I have been completely dumbfounded by how a SE tube amp can have a noise floor this low. My Zu speakers are EXTREMELY sensitive to amp noise and I literally hear no noise when it is turned up and my ear is right next to the speaker. The only amp I have had that could compare is a hi end digitial PWM amp that literally sends no output unless it is being fed a signal. Truly remarkable. And it's ability to have such a smooth, fluid sound and yet be as detailed as it is is astounding.